Well, here we go. When we got married we asked the Lord for an adventure and He answered. Big time. Back Story: Tuesday morning Brian called me and said he had gotten web orders online for our next duty station. After the previous shock of receiving Ground Supply, we were really hoping and praying for an awesome duty station. 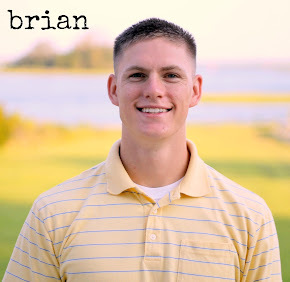 Brian's first words to me were, "it's God's will," and my heart sank. I knew "it's God's will" meant North Carolina. See, we got to rank our duty stations and we ranked East Coast last. Now, before all our lovely east coast friends and family get angry about this you should know this-- we did this because we are pretty sure that one day we will settle back down in North Carolina. For the time being we just wanted to GO. EXPLORE. Figure out life and marriage and adventure. So we spent about 24 hours thinking we were going to be back in NC for the next three years. We weren't angry, but we weren't excited. We were just trying hard to believe that it was what God had for us. So that brings us to Wednesday night. I'm walking through Target to get QTips and garbage bags (obviously really important to the story) and Brian calls with a super excited voice. He's all, "BABE, I HAVE GOOD NEWS!" And I'm all, "FINALLY!" He continued on to tell me that his web orders were wrong and we would no longer be moving to NC. So here is our news: We are moving to..... OKINAWA, Japan! Japan ya'll, JAPAN! Three years; more specifically 36 months. And you should come visit. Cause it's a tropical island. And beautiful. We will be here in Virginia until the middle of June, and then will move to North Carolina for 8 weeks while Brian in in supply school. After supply school we will be off to the land of sushi and cherry blossoms (seriously, this is all I know about Japan). We are so excited and are ready for the adventure that will come! We covet your prayers as there is so much to be done before we leave. Pray that God would go before us and prepare the way. That he would provide strong community and relationships for us and that our marriage would grow exponentially as we learn to lean on one another. And that He would continually calm our hearts and remind us that this truly is His plan. another awesome blog entry mckenz!!! loved getting to see yall on the skype last night : ) absolutely PUMPED for yall! !